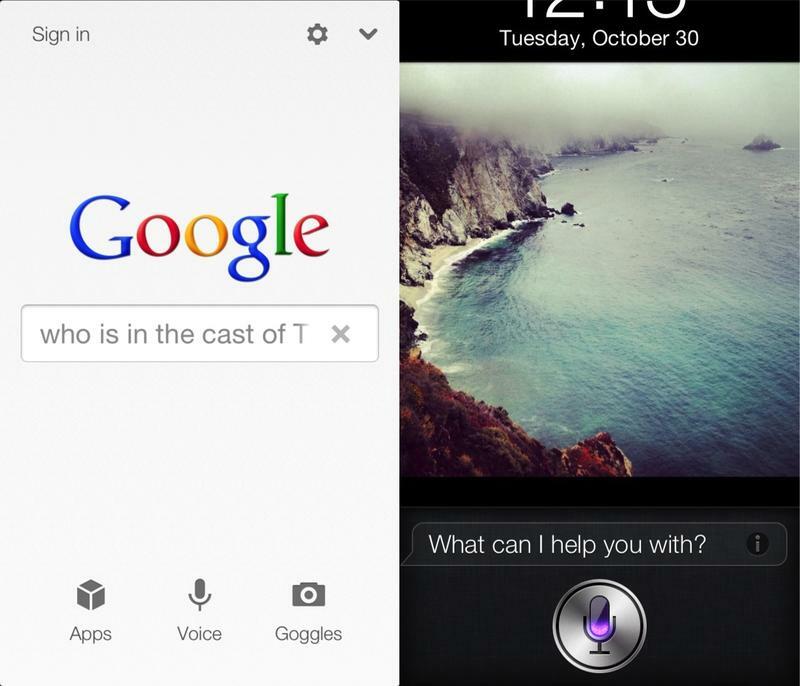 Google's advanced voice search has made its way to iOS turf, and it demonstrates just how inadequate Siri can be. Apple's voice assistant was given new life when the company rolled out an update earlier this year, but the additional features — finding movie times, sports scores, etc. — suddenly feel antiquated in comparison. You'll laugh at the differences. It's actually pretty striking when the two are tested side-by-side; this is exactly what Apple should strive to achieve. I downloaded Google Search for iOS and put the two through their paces, using the questions in Google's announcement post as the test. I also threw in a few additional ones to mix things up. Overall, the Knowledge Graph Google uses returns some impressive results. What does Yankee Stadium look like? Siri was adamant in showing where the team's stadium was on a map. No, Siri. No. I want to actually see what the stadium looks like, not where it is. I annunciated my request, but each time returned a dropped pin on the map. Not off to a good start. Google Search, in contrast, brought up picture results without a problem. No sweat. Everything pops up inside the apps, with no additional hoops or clicks needed. It returns the kind of results you'd expect — results you asked for. A+. Play me a trailer of the upcoming James Bond movie. There's no trailer available for 'Dr. No'. For some reason, Siri interpreted "upcoming" as a movie from 1962. Attempt #2: Same thing. And again, and again. You have to be much more explicit. "Show me a trailer for Skyfall" will turn up the desired results. But it's not exactly the advanced colloquy one might expect. People don't always speak how they write, and we'd expect Siri to better understand this. Google Search does. Asking Google Search to play a trailer for the upcoming James Bond movie turns up the right result with 100 percent accuracy. Videos you search for open up a new tab that swipes in from the right and play automatically. It's a seamless, effortless animation, and requires little user effort. Once it's done playing, simply X out of the search result or swipe to the right to save for later; you can easily swipe back to the left to bring up your last searched video. It would be nice if picture queries opened up in a similar tab that you can easily swipe on and off the screen, but sadly this is not the case. I suppose it makes sense because it shows all relevant search results on one scrollable page, but a more elegant way to navigate would've been nice. Void. Null. This one is too easy. Siri and Search both got this one without hesitation. Moving on. Who's in the cast of The Office? Technically, Siri showed me a really helpful card of which actor played which character in The Office. But for the U.K. version. I wanted to know who is in the NBC show here in the States. When I said, "Who's in the cast of The Office on NBC," Siri asked if I wanted to perform a Web search. She eventually turned up correct results, but not after a few extra steps and frustrating seconds. Google Search turned up results for the U.S. show, and displayed pictures of each actor along with their character's name. Additionally, it gives information about when the first episode aired, writers, the theme song and more. Every tidbit of information about the show is immediately pulled up without a hitch. Easy. Overall, Google Search for iOS is a pretty fantastic addition to Apple's ecosystem for those who prefer to search with their voice. I personally don't often find myself voice searching, so I don't think I'll get any use out of Google Search. The search giant's app is doing plenty to battle Siri on its own turf, but its iOS integration is obviously lacking, and will always lack until the end of time. Siri can set reminders, text a friend, set an alarm and call a relative. Google Search, obviously, cannot, because that's not what the app was designed to do. On search prowess alone, Siri's capabilities are severely lacking in some instances, while she's perfectly capable in others. Google Search might not convince a whole heck of a lot of people to ditch Siri when searching for info, but it demonstrates what a properly executed technology is capable of.